Jennifer Dawson was one of 68 teachers chosen nationwide and is the only teacher from Georgia. Jennifer Dawson, a 1989 graduate of Oconee County High School, and Social Studies (AC) teacher at Lost Mountain Middle School in Kennesaw, was selected to be a participant in the Teachers for Global Classrooms program. The program is funded by a grant from a bureau in the U.S. Secretary of State Department. Jennifer must first complete an eight-week graduate-level training program focusing on globalized learning and international project collaboration. She will attend two Global Education Symposiums in Washington, D.C., in 2012 and complete it with a two-week international fellowship in Brazil, Ghana, India, Indonesia, Morocco, or Ukraine. Jennifer was Cobb County Teacher of the Year in 2006-2007. After graduating from OCHS in 1989, she earned a Bachelor of Arts degree from, Mercer University in 1993, and a Master of Theological Studies with Certificate in Education from Emory University in 1999. Jennifer has taught at Lost Mountain Middle School since 2000 and has taught Sixth Grade Advanced Content Social Studies since 2006. Jennifer grew up in Oconee County and is the daughter of Wendell & Betty Dawson of Watkinsville. A Cobb County social studies teacher was the only Georgia teacher awarded a federal fellowship to learn about history, culture and education abroad, according to Cobb County Schools. Jennifer Dawson of Lost Mountain Middle School was among 68 teachers picked to participate in the Teachers for Global Classrooms program funded by the U.S. State Department's Bureau of Educational and Cultural Affairs. The former Cobb teacher of the year will get graduate-level training. She'll also travel for two weeks to Brazil, Ghana, India, Indonesia, Morocco or Ukraine. KENNESAW –– Jennifer Dawson was chosen to participate in the Teachers for Global Classrooms program. Dawson, a social studies teacher at Lost Mountain Middle School, is the only Georgia teacher and one of 68 teachers nationwide picked to participate in the program. The program, funded by a grant from the Bureau of Educational and Cultural Affairs of the U.S. Department of State, is designed to equip teachers with experience and skills that will help them prepare students for life in the global economy. Dawson will first take part in an eight-week, graduate-level training program focused on globalized learning and international project collaboration. Upon completion, she will attend two Global Education Symposiums in Washington, D.C., in 2012 and complete it with a two-week international fellowship in Brazil, Ghana, India, Indonesia, Morocco, or Ukraine. Jennifer Dawson, social studies teacher at Lost Mountain Middle School, is one 68 teachers (and the only one from Georgia) chosen to participate in the Teachers for Global Classrooms (TGC) program! Funded by a grant from the Bureau of Educational and Cultural Affairs of the U.S. Department of State, TGC is designed to equip teachers with experience and skills that will help them prepare students for life in the global economy. Ms. Dawson will first take part in a eight-week, graduate-level training program focused on globalized learning and international project collaboration. Upon completion, she will attend two Global Education Symposia in Washington, DC in 2012 that bookend a two-week international fellowship in one of the following countries: Brazil, Ghana, India, Indonesia, Morocco, or Ukraine. The fellowship will offer Ms. Dawson the opportunity to travel and collaborate professionally with a designated cohort of U.S. teachers. The groups will visit cultural sites, attend seminars on the history, culture, and education of the host country; participate in discussions on best teaching practices and related educational issues; observe or team-teach when requested in international classrooms and discuss local educational issues with students, teachers, and administrators from the host country. 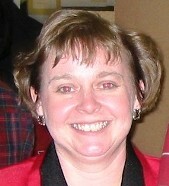 Jennifer Dawson was Cobb County School District Teacher of the Year in 2006-2007.